Since warm air rises, basements are usually colder than the rest of the house. In summer, this makes basements damp, due to the higher relative humidity. AdvantaClean recommends dehumidifiers in some cases. A fire place or baseboard heaters may be needed in winter. Even with sump pumps or low water tables, basements may get damper or more humid after rainfall, due to bad drainage. The ground next to basements should be graded so water flows away from the basement wall. Downspouts from roof gutters should drain freely into the storm sewers or be directed away from the house. 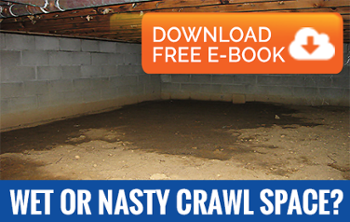 With all the potential for excess moisture in basements, mold may be flourishing. Contact AdvantaClean for a free inspection if you see visible mold or smell a musty odor.